A delegation of technical staff from the Association of Agricultural Engineers of Puerto Rico recently visited the facilities at IMIDA. The delegation also included farmers, livestock farmers and extension practitioners of Puerto Rico’s most representative crops. 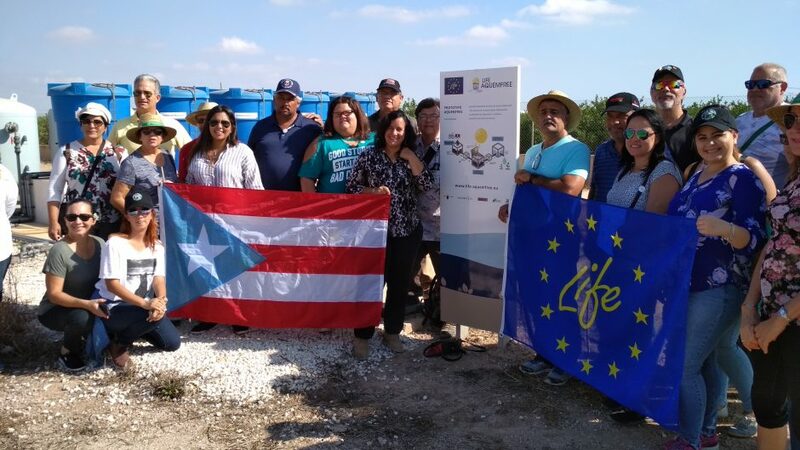 Having visited the facilities and seen the equipment at IMIDA, the group continued their day with a visit to ITUM, the goat farm in Guadalupe (Murcia), and the Torreblanca farm where they were familiarised with the LIFE-AQUEMFREE project.